Nithin Thompson will be presented with the 2019 Alliance Theological Seminary “Alumnus of the Year” award on Wednesday, April 3 at 2:30 PM. The presentation will be made during a special alumni chapel service at the seminary on the Rockland County campus located at 350 North Highland Ave. in Nyack. He will also be featured chapel speaker. 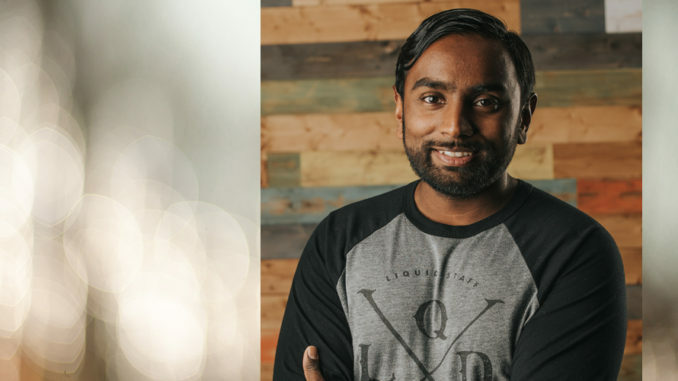 An alumnus of Nyack College (2003) and of ATS (2008), Nithin is currently the teaching and online pastor at Liquid Church, a multi-site church and one of the fastest growing ministries in New Jersey. He works directly with lead pastor Tim Lucas and assists with writing and researching sermon content and materials for Liquid small groups. He oversees Liquid’s Church Online, a platform for ministry to some 10,000 people around the globe. In addition to his responsibility for coordinating volunteers and providing pastoral care, his blog, SojournIntoExile is another vehicle where he shares thoughts on preaching, the soul, culture and life. Nithin and his wife, Jackie, have been married for ten years and are the parents of two children, Selah and Wesley.